AUGUSTA, Ga, - Textron Specialized Vehicles Inc., a Textron Inc. (NYSE: TXT) company, is proud to announce the launch of its Hauler 800 ELiTE electric utility vehicle, powered by Samsung SDI lithium technology. 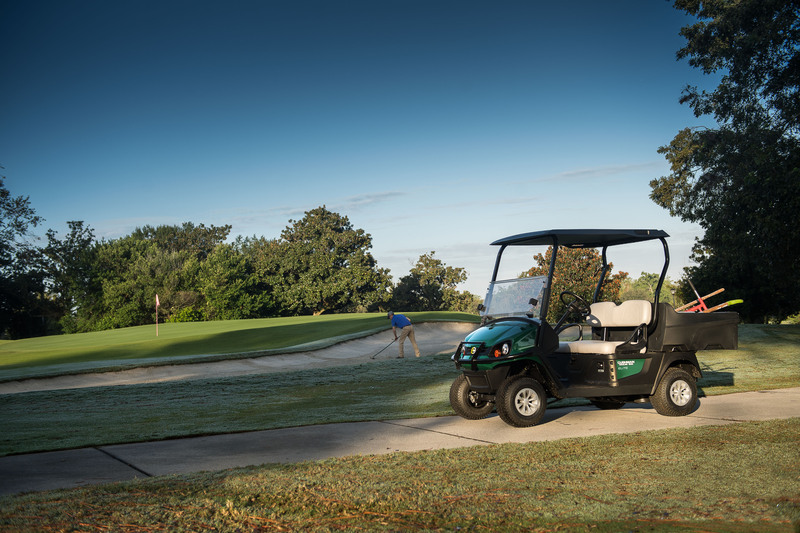 Capitalizing on the proven technology of E-Z-GO ELiTE vehicles, launched in 2017, the Hauler 800 ELiTE offers zero-maintenance batteries with increased range and energy efficiency. The ELiTE Series also includes the following E-Z-GO models: RXV® ELiTE, Freedom® RXV ELiTE, Freedom RXV 2+2 ELiTE, TXT® ELiTE, Freedom TXT ELiTE and Freedom TXT 2+2 ELiTE. Since 1901, Cushman vehicles have been recognized light-transportation solutions for turf, commercial and industrial applications. Today, Cushman products include more than 15 different vehicle models, from rugged Hauler utility vehicles, ideal for tough hauling and towing tasks in outdoor environments, to the imposing Titan, a fully electric material-handling vehicle for indoor environments with a load capacity of 3,000 pounds, to the Minute Miser, perfectly suited for transporting people and small loads across large facilities. Cushman vehicles are designed and manufactured by Textron Specialized Vehicles Inc.